Francesco Dellamorte has an unusual problem in the cemetery he watches over in the small town of Buffalora; the dead have a tendency to rise again within seven days of their original demise. Dellamorte has no interest in finding out why they are coming back. Indeed, he is baffled by why anybody would want to come back. Dellamorte is a misfit. Nobody really listens to him. The little old lady who visits the cemetery every day calls him Engineer, even though as he keeps explaining he is not one. The mayor is politely inattentive, praising Dellamorte’s work, while paying no attention to what he has to say. A group of young locals mock him for his rumoured impotence, although Dellamorte later admits he started those rumours so people would leave him alone. He has only two friends, Gnaghi (François Hadji-Lazaro) his assistant, who can only communicate by grunting, and Franco (Anton Alexander), a clerk at the post office in the village. Reclusive, while also longing to escape from Buffalora, Dellamorte’s closed-in world is thrown into crisis when he is drawn towards a beautiful young widow (Anna Falchi). She has no interest in Dellamorte until he shows her the Cemetery’s Ossuary and it arouses her. Unfortunately their tryst is interrupted by her dead husband, whose bite seemingly causes her death. Yet Falchi returns to in various guises later on in the film as Dellamorte becomes increasingly disturbed. Unusually for a horror-comedy with gore and sick humour, Dellamorte Dellamore takes loss and grieving quite seriously. Sure, there’s exploding heads and killer dialogue and Rupert Everett bludgeoning a zombie-nun’s head in with a blunt object, but there is a mournful aspect to the film. Everybody has lost or loses someone. Dellamorte Dellamore operates on the same level as a fairytale, or a dream, in which strange happenings are possible, but they have a deeper psychological meaning that is open to interpretation. Death appears to Dellamorte, taking form out of burning rubbish on a bonfire and asks Dellamorte to leave the dead alone. Given that the ‘Dylan Dog’ comic books take place in a world where reality and the supernatural exist side-by-side it is entirely feasible that Death does visit Dellamorte. Maybe however Dellamorte is just losing his mind. .Michele Soavi has a gift for creating stunning visuals (Terry Gilliam used him on The Adventures of Baron Munchausen and The Brother’s Grimm) and the film’s beauty is complemented by a truly warped sense of humour. Dellamorte Dellamore is based on a novel by Tiziano Sclavi and features a character who appeared briefly in the author’s ‘Dylan Dog’ comics. Dellamorte bears a startling resemblance to Dylan Dog and is essentially an alter-ego for the Nightmare Detective. Sclavi based Dylan Dog’s appearance on Rupert Everett so the big fella is perfectly cast here. A gifted comedy actor Everett makes the most of the dialogue and has a sadness to him which renders the absurdist elements of the film more believable. 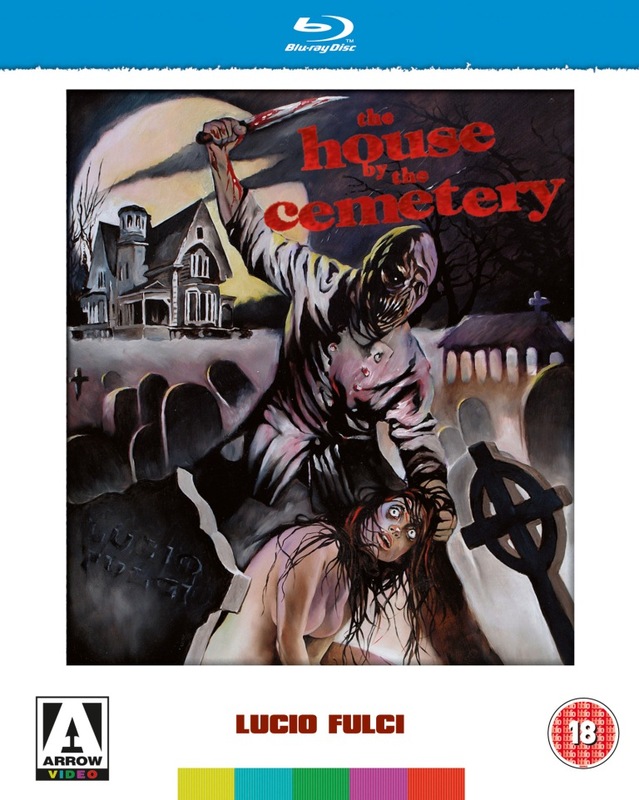 It is a great performance, one of the best you’ll see in a horror film and it’s a shame the film has never found a wider audience though maybe this will change with this new DVD release. Sadly even Everett undersells it, the only mention of Dellamorte Dellamore in his autobiography ‘Red Carpets and other Banana Skins,’ is a small photograph. Watch the English language track rather than the Italian version. Genre films in Italy have traditionally used American or British stars to attract funding and shoot scenes in English. Everett’s deadpan delivery is preferable to hearing him being dubbed into Italian.The Americanised version of Dylan Dog (2011, Kevin Munroe) appears on DVD and Blu-ray later this month and while it is nowhere near as bad as expected, it is no match for Dellamorte Dellamore. Part of the fun of Shameless releases is going through the trailers for there other releases. Highlights include Who Saw Her Die? (1972, Umberto Lenzi), a giallo starring former 007 George Lazenby, the haunting reworking of Patricia Highsmith’s ‘Strangers on a Train’ The Designated Victim (1971, Maurizio Lucidi) with Tomas Milian, and Dario Argento’s underrated Four Flies on Grey Velvet (1971). There’s also an Italian trailer which emphasises the Dylan Dog connection and a photo gallery. The commentary with Soavi and screenwriter Gianni Romoli is interesting and gives an insight into their approach to the material. Soavi says the film is about a man who can’t face reality, who refuses to grow up, who “doesn’t want to leave his garden, his enchanted world.” Film journalist and author Alan Jones has also provided writing on the film’s production and photographs for an accompanying booklet.